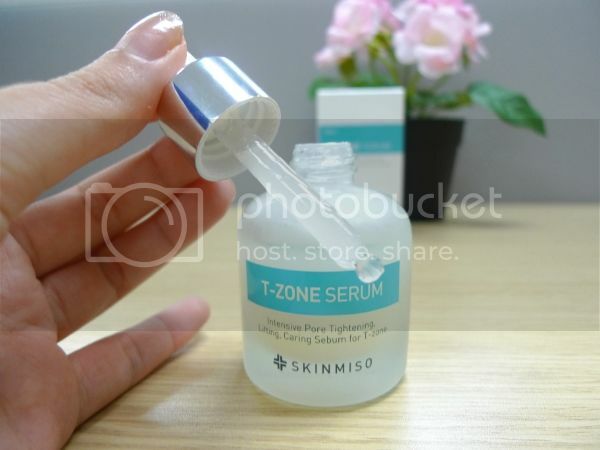 Skinmiso T-zone Serum will be the answer to your strawberry nose problems! 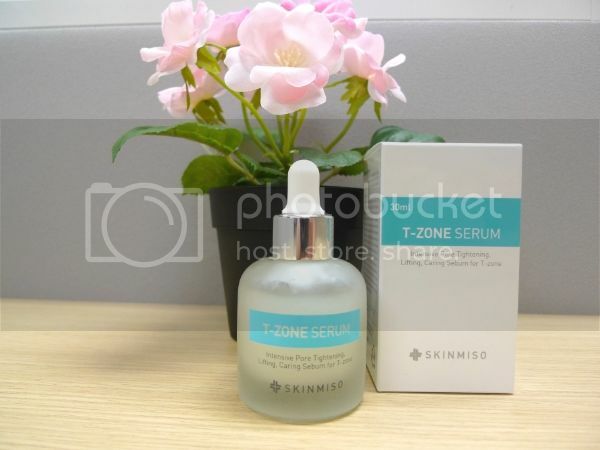 Suitable for all skin types and for both genders, Skinmiso T-zone Serum helps control excessive sebum and actualize velvet-looking skin! It is KDFA certified for elasticity and wrinkle improvement. By eliminating ingredients that irritates the skin, it helps control moisture and oil so as to improve elasticity on your skin. This is very important as the lack of moisture on your skin will cause more sebum to be produced, leading to typical strawberry nose problems like enlarged pores and blackheads – a vicious cycle that never ends..
For optimum effect of this product, I will recommend you to apply it after using a nose pack peeling mask 2 to 3 times a week. 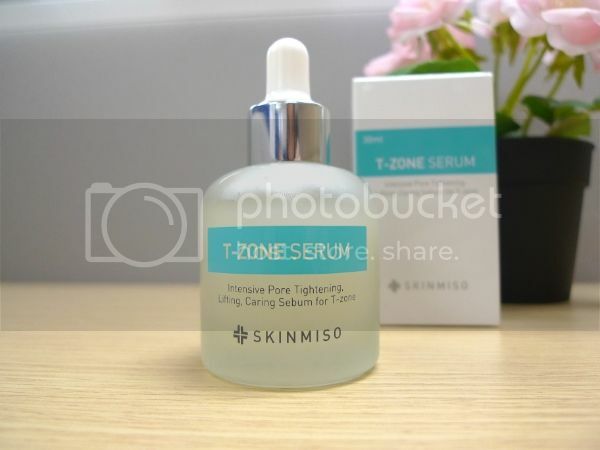 Unclogged the dirt in your pores before applying the Skinmiso T-zone Serum for better pore tighening and purifying effect. Comes in a dropper bottle design instead of the usual pump which instantly impressed me; it keeps me from using too much of the product since I am able to control the amount being squeezed out. This oil-free serum is lightweight and not at all sticky, thus turning your skin to a silky soft state. Feels like applying water on my skin since it absorbs really quick. Despite being lightly-scented with a mild cologne scent, you will be relieved to know that the scent disappears the moment it is absorbed. Fuss-free and easy!